From one of the city&apos;s longest running traditions to one of its newest events, there&apos;s a lot to experience in Asheville this week. Among the happenings are music, arts & crafts, and beer festivals. Get out and explore this week and take some photos! Don&apos;t forget to tag us with #VisitAsheville and we may share your picture on Instagram, Facebook and Twitter! Friday and Saturday, Noon-10 p.m. Prepare to be entertained! 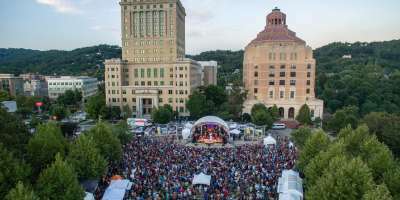 Three stages featuring more than 200 local, regional, and national performers will pulse through downtown Asheville at the LEAF Festival. You’ll hear funk, reggae, world, and soul music at this free event. In addition to great music, check out nearly 100 local culinary and craft arts vendors. Speaking of art, watch artists paint live at LEAF! The artists have teamed up with the non-profit Farm Sanctuary, to transform life-size fiberglass pig statues into vibrant pieces of art before your eyes Friday and Saturday. Looking for some exercise? you can race to the finish at the 3rd Annual LEAF Art Dash 5K. The race begins Saturday at 9 a.m. 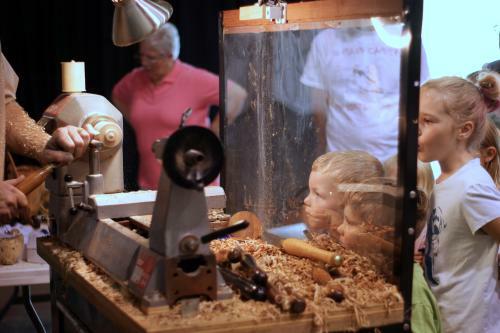 Carving, turning, coopering, and whittling are among the many techniques Southern Highland Craft Guild artists will demonstrate during Wood Day at the Blue Ridge Parkway’s Folk Art Center. Learn about one of the mountains&apos; oldest mediums in craft and how today’s woodworkers are continuing the tradition. Admission is free. Join craft enthusiasts at the area’s premier outdoor art and craft fair. There will be 120 exhibitors representing a wide range of crafts along the beautiful tree-covered grounds of the Cathedral of All Souls in charming Biltmore Village. It’s free to stroll the artists’ booths. Nearby to the fair is Biltmore and the River Arts District. While you shop the beautiful wares at the Art and Crafts Fair, hunt for other treasures and unique finds in this fascinating historic district. Galleries and one-of-a-kind shops abound in Biltmore Village. 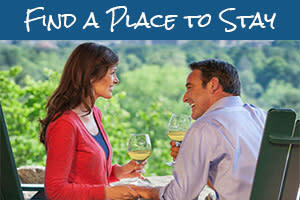 The Village is also home great local eateries and two of Asheville&apos;s craft breweries. And, as you may have guessed from the name, Biltmore Village sits right at the entrance to Biltmore Estate which offers gardens, shopping, dining, and America&apos;s most visited winery, in addition to the 250-room Vanderbilt home. 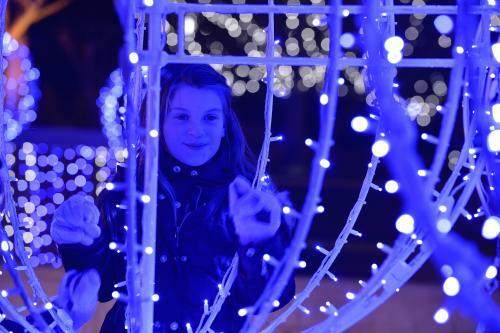 Start a new tradition with the first-ever Summer Lights event at the North Carolina Arboretum! The Arboretum is known for its incredible light displays around the holidays in the 434-acre public garden. 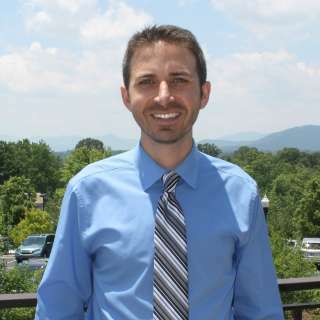 They’ve now created a special summer edition complete with an artistic projection light show and outdoor concert series featuring the Blue Ridge Orchestra. All tickets must be purchased in advance on the Arboretum’s website. Pricing is $18 for adults and $12 for children (ages 5-11). 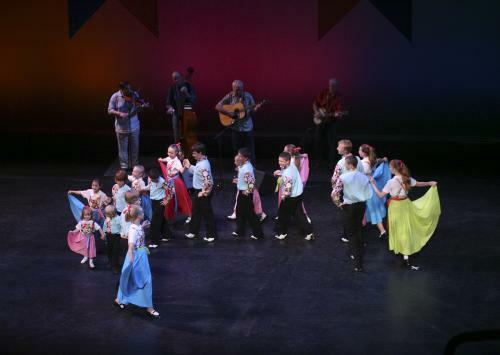 See the best of mountain music, dance, and culture at the nation’s longest running folk festival! You’ll enjoy old time and bluegrass musicians, mountain dancers, cloggers, ballad singers and storytellers. The performers include everyone from the “old-timers” to the newest generation of talent. This year, the festival will be at a new location, the Mission Health/A-B Tech Conference just outside of downtown Asheville. Sunday through Sunday (July 30-Aug. 6), 10 a.m. - 6 p.m.
For decades in the small community of Spruce Pine, they have been celebrating Earth’s treasures. People from around the world have traveled to shop for beautiful jewelry, gemstones, minerals, beads, crystals, and fossils! The event helps raise money for Parkway Fire and Rescue to purchase new equipment. 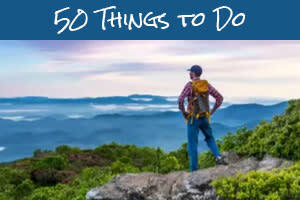 And, if you attend the festival, you’ll be just minutes from the Blue Ridge Parkway, Grandfather Mountain and other top area outdoor adventure spots! Enjoy special release beers while supporting outdoor adventure! Find Your Pint, a collaboration between local breweries and the Blue Ridge Parkway Foundation, is back and it&apos;s better than ever! This year, 30 breweries and one cidery will host special events with special beer releases in an effort to raise money to support the Blue Ridge Parkway! Events extend from August through September. The first beer release is Tuesday, Aug. 1 at Oyster House Brewing. Bhramari Brewing Company (Aug. 2) and Hi-Wire Brewing (Aug. 3) will also release special beers this week. Check out the complete schedule of events. 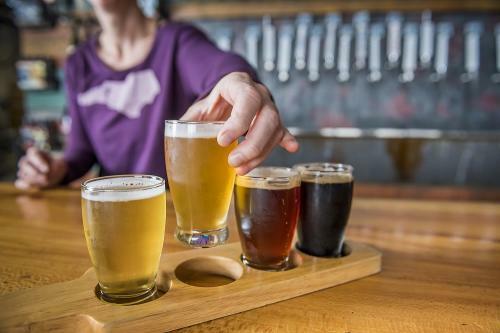 Before, or after, you try one of the Blue Ridge Parkway-inspired special release beers, go for an adventure on America&apos;s favorite scenic drive. There are multiple entrances to the Blue Ridge Parkway in the Asheville area. One of the entrances is just 10 minutes from downtown. Just 15 minutes from downtown is the Craven Gap Trail. Other nearby popular hikes include Craggy Pinnacle and Mt. Mitchell to the north, and Mt. Pisgah and Graveyard Fields to the south. Photo credits: Top photo courtesy of LEAF. Wood Carving photo courtesy of the Southern Highland Craft Guild. Lights photo by Keith Wright. Mountain dancers photo by Tony Martin. Jewelry photo by Jared Kay. Beer flight photo by Emily Chaplin.